Discontinued OEM / Factory Stripes, Logos and Decals. Custom Fabrication for Toyota Trucks and 4Runners. Motorcycle/Auto painting, decals, logos and pinstriping. There are NO RETURNS, REFUNDS OR EXCHANGES ON STRIPES, DECALS AND LOGOS. Stripes and decals are produced and the time of order and considered special orders. Please check and confirm accuracy (style, side and color) of your order at the time of placement. If you are unsure of what to order, please contact me ahead of time to verify your needs. Orders must be confirmed for damage, completeness and correctness within 48 hours of receipt or YOU ARE ON YOUR OWN. CURRENT PRODUCTION TIME IS ABOUT 4-7 BUSINESS DAYS. 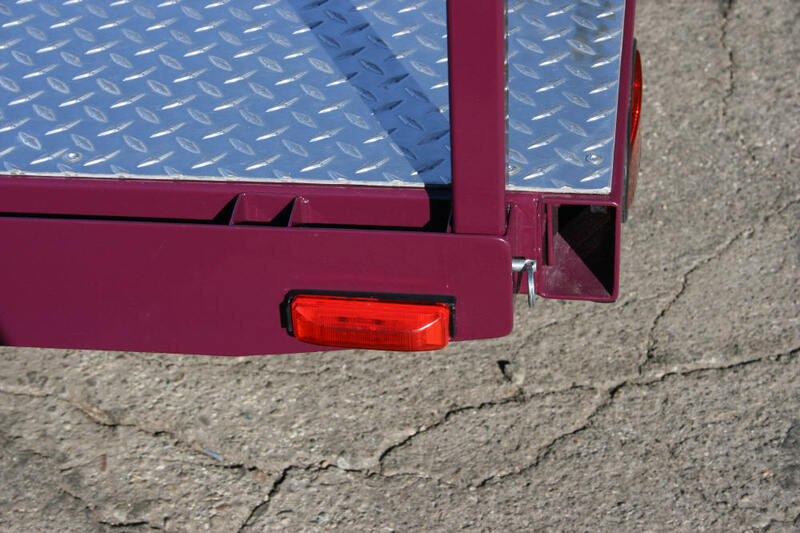 I found in my searching for a bike and general purpose trailer, that no one made a heavy duty small trailer with the features I wanted. So I designed and built my own. It is a 5'X10' flat deck, tilt, lo-boy. I started with 2"X3" fully boxed channel, triple railed for strength, 1.5" cross beams, powder coated and cleared, fully decked with 2"X10" for deck strength and then topped off with .125" diamond plate aluminum. 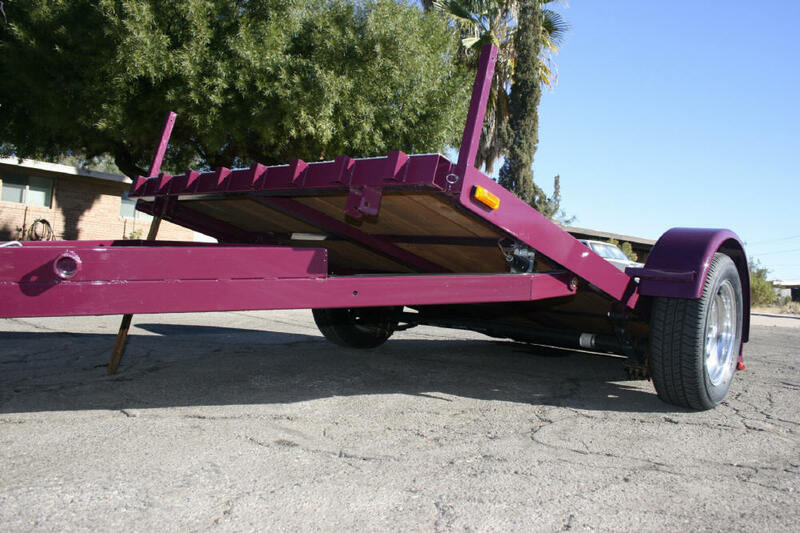 It has a 4" drop axle rated at 3500lbs, 3000lbs springs, LED brake and marker lights, stake pockets all around for accessories and a double tongue for corrected hitch height and extra storage area. The axle is located 4" behind center for better weight displacement and tilt capability. 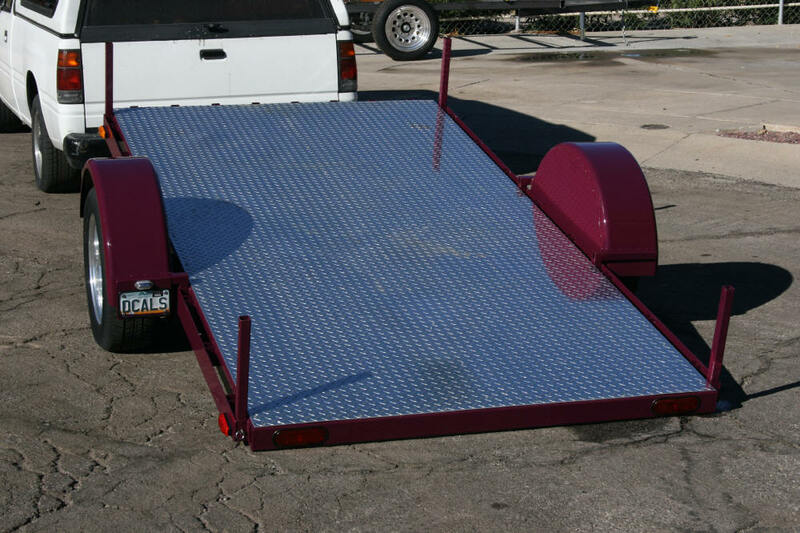 This has given me a trailer great for loading and hauling bikes, as well as a great general purpose heavy duty trailer. So much so, that even when I have a $40,000 bike on it, being pulled by a custom truck, people still comment on the trailer. Send mail to james@jamesdeancreations.com with questions or comments about this web site.